Want a healthy lifestyle but weighed down with hard work? Suffering from muscle pain and tension after a long day? This self-heating massager belt can help. With the natural mineral tourmaline as its core, this neck collar releases far infrared negative ions and triggers thermoelectric micro-current stimulation. 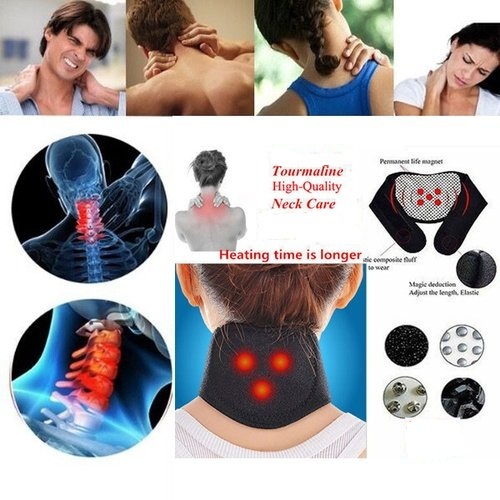 This magnetic neck collar can effectively improve blood circulation, ease muscle fatigue, activate cell metabolism, help relieve soreness of the cervical spine, neck, and promote blood circulation. This portable neck massager is suitable for the whole family to use. You can use it at home, office, or while commuting. The neck is comprised of seven vertebrae making up the uppermost portion of the spine—the cervical spine. It provides protection for the many nerves traveling down from the brain, and It also houses the eight cervical nerves, which have their origin at the seven cervical vertebrae. If the neck is in alignment, these nerves can properly serve their functions, but if the neck is out of alignment, the risk for nerve impingement or compression increases. Head and Pack Bone Posture. The neck massager features an ergonomic design that fits properly and snugly to your neck for the possible optimum massage experience. The tourmaline neck massager can soothe meridians and massage acupressure points. Magnetic therapy may increase blood flow and magnetic heating effect helping to relax muscles and reduces fatigue, promote blood circulation to keep you relaxed all day, allowing you to enjoy relaxing massage and soothing heat therapy simultaneously. A flexible and soft belt is comfortable to wear and has a great wear-resistant and tear-resistant performance. 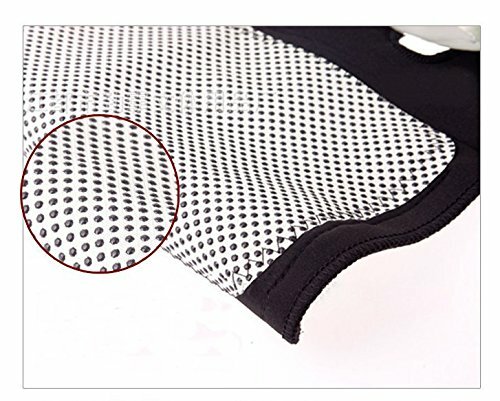 Breathable fabric promotes heat penetration. 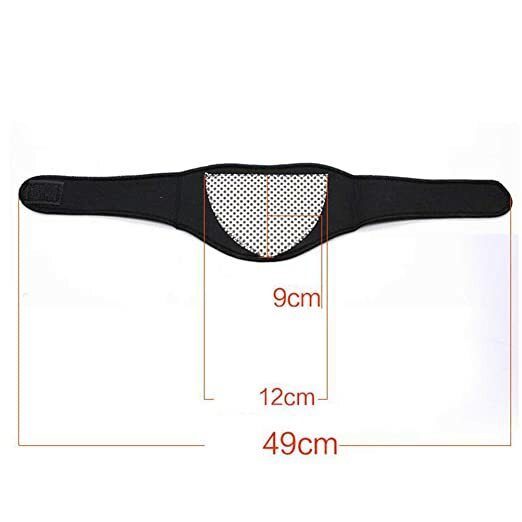 Non-slip adhesive tape design, no need to worry that the belt will slip off. Great gift for your family or friends. Please consult your physician before using the Magnetic Therapy Neck Collar Massager. Pregnant women and children, please do not use this product. Not recommended for people with skin allergies or skin temperature sensitivity. Not recommended for patients with acute soft tissue impairment.